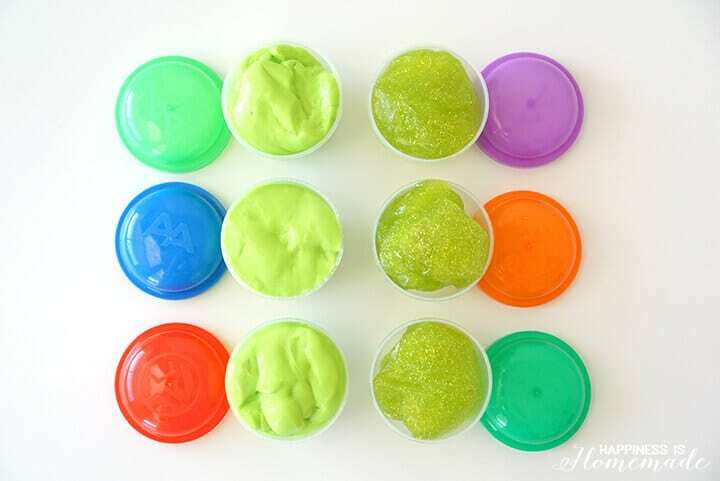 This super easy DIY TMNT “Sewer Ooze” Slime is a ton of fun for kids and makes a great party favor for Teenage Mutant Ninja Turtles parties! 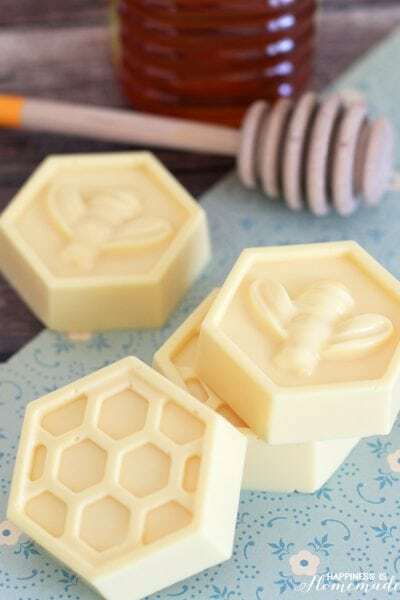 Printable labels included! You guys, there is SO much fun TMNT goodness in today’s post! 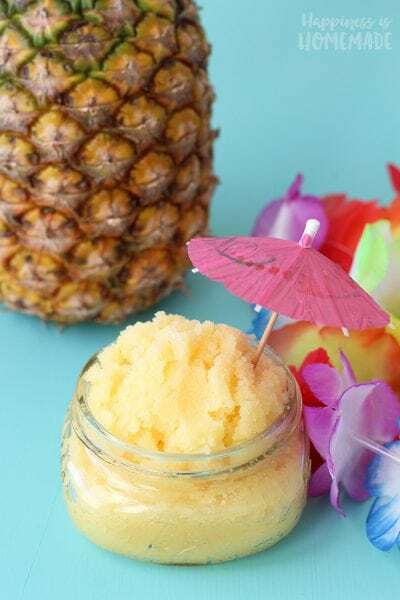 You can’t go wrong with Teenage Mutant Ninja Turtles + our favorite frozen summer treat + some ooey gooey sensory fun for kids! The new Teenage Mutant Ninja Turtles 2 movie is out in theatres today, and it looks like an explosive action-packed adventure! 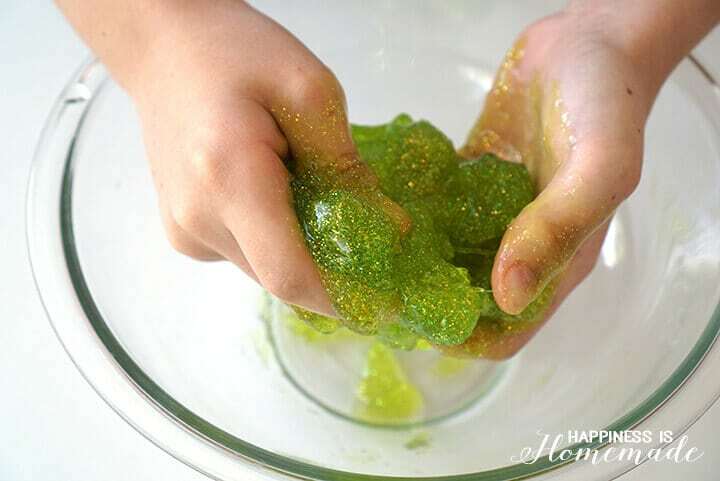 (Note: the movie is rated PG-13, so it’s not for little ones) My boys love the Teenage Mutant Ninja Turtles cartoons, so I came up with this slimy kids craft inspired by the green goo that mutated our favorite heroes in a half shell, and it was a HUGE hit! 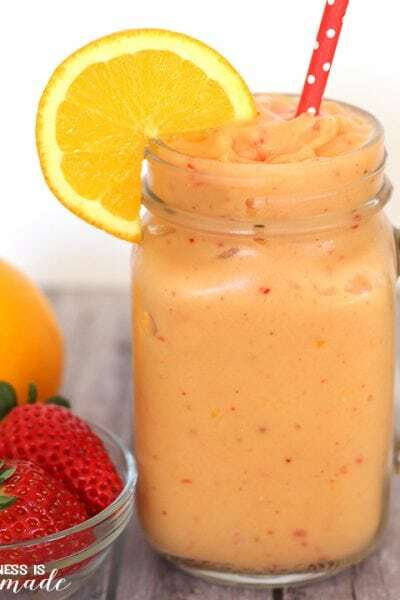 Water – 1 cup + 1 tsp. 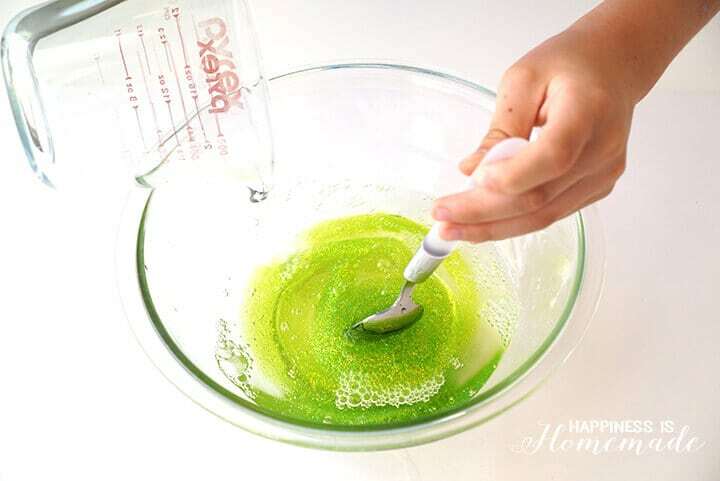 In a large bowl, mix together the bottle of glue + 1 tsp. of water. Dissolve 1 tsp. of Borax into 1 cup of water. 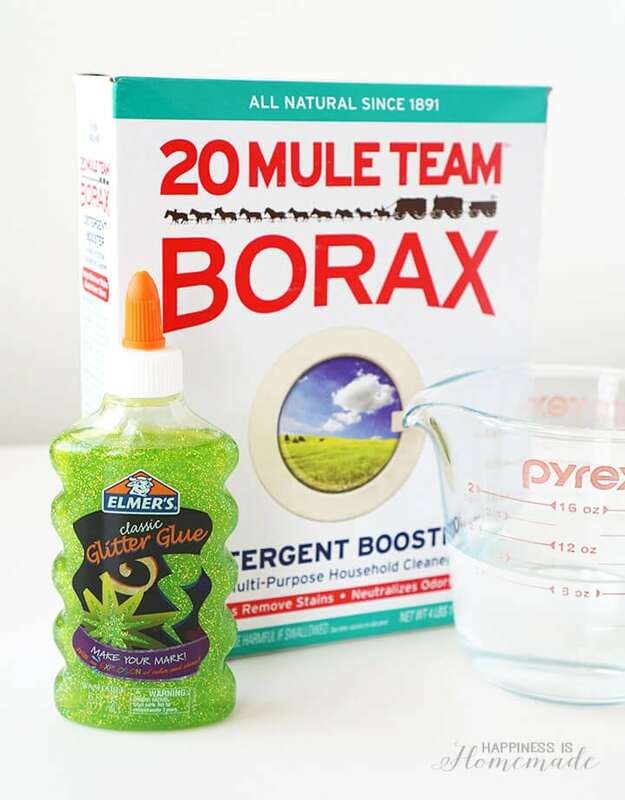 Stir the Borax mixture into the glue mixture. The glue mixture will immediately begin to get thick and clumpy. Continue to stir for about 20-30 seconds. 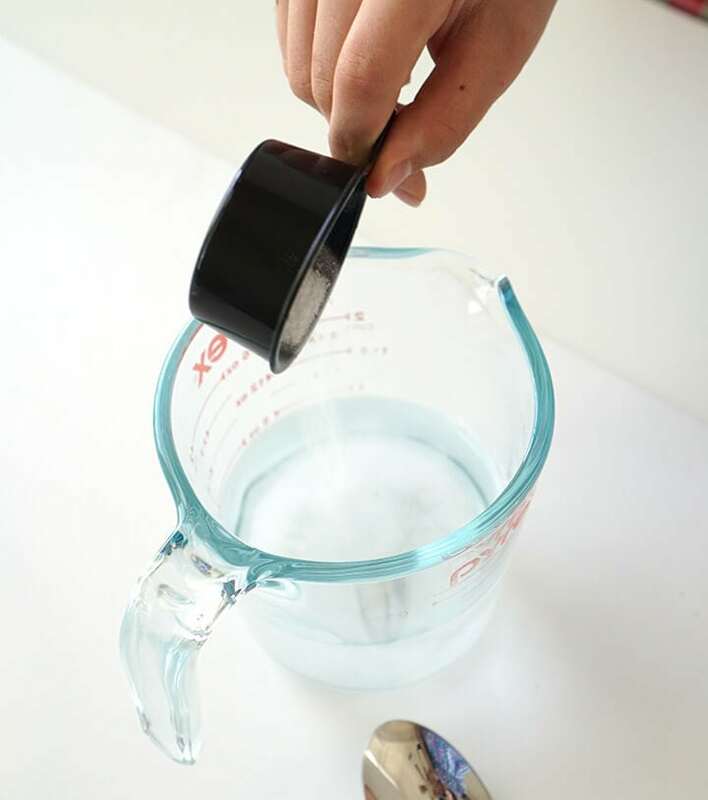 As soon as the glue mixture has thickened and formed one large mass, drain off the excess liquid. 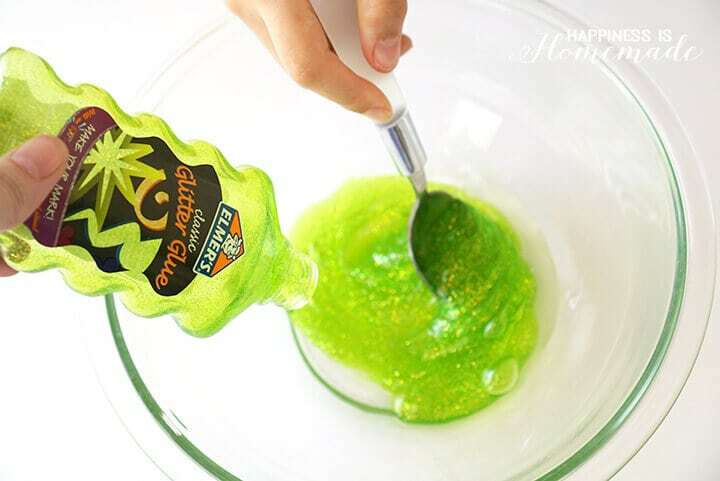 Knead the slime – it’ll be gooey and sticky at first, but it will firm up as you work with it. 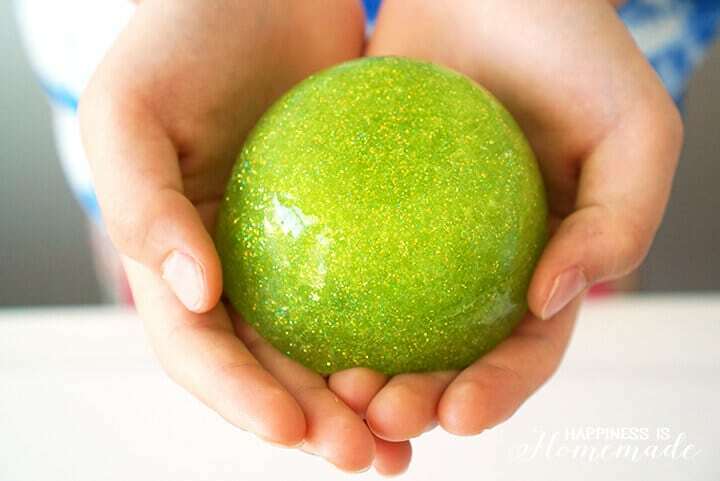 When the slime is ready, it will be soft, smooth, silky, and will have a slow fluid consistency that will take the shape of whatever vessel you put it into. 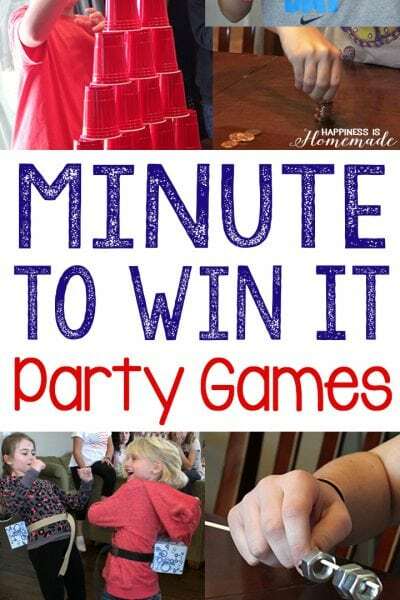 It’s a ton of sensory fun, and once you start squishing, you’ll never want to stop! 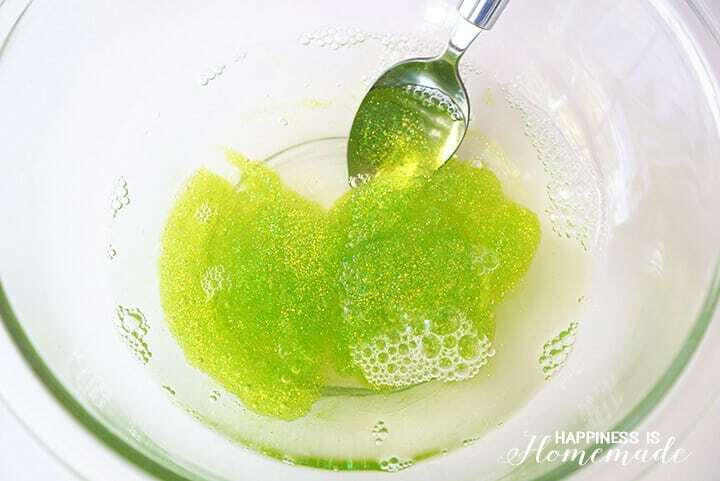 If glitter isn’t your thing, white school glue mixed with a few drops of neon green food coloring also makes a great “Sewer Slime” for your TMNT fans. One batch of Sewer Slime fits perfectly into three large vending machine capsules. I whipped up some “Sewer Slime” manhole cover labels to go on the lids of the containers. 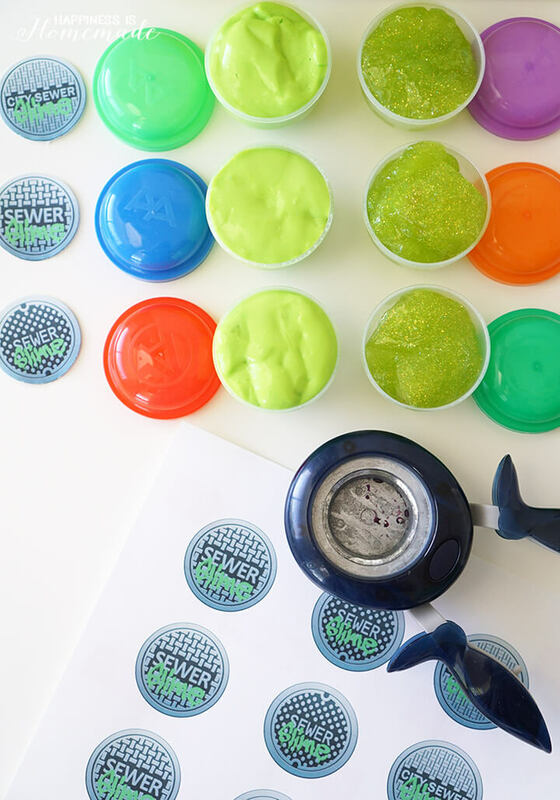 Print the Sewer Slime labels on to 8.5″ x 11″ label paper, and use a 1.5″ circle punch to quickly cut out all of the labels. 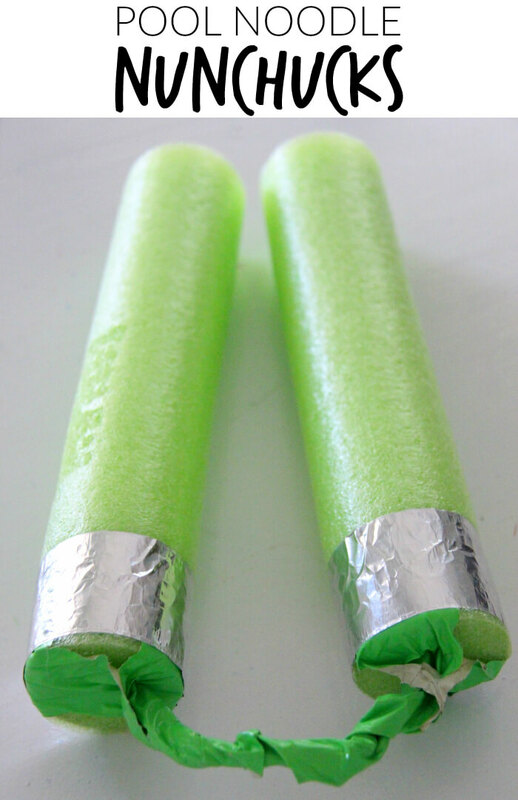 How cute are these little containers of Sewer Slime? 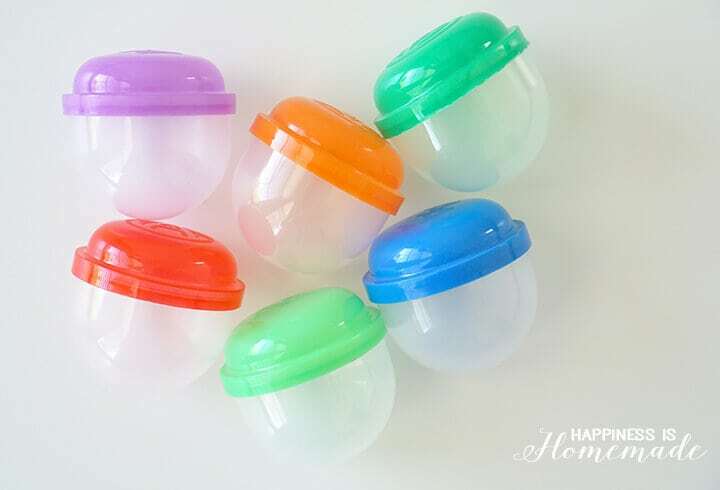 They’d make great party favors and stocking stuffers (hey, those holidays will be here sooner than you think! 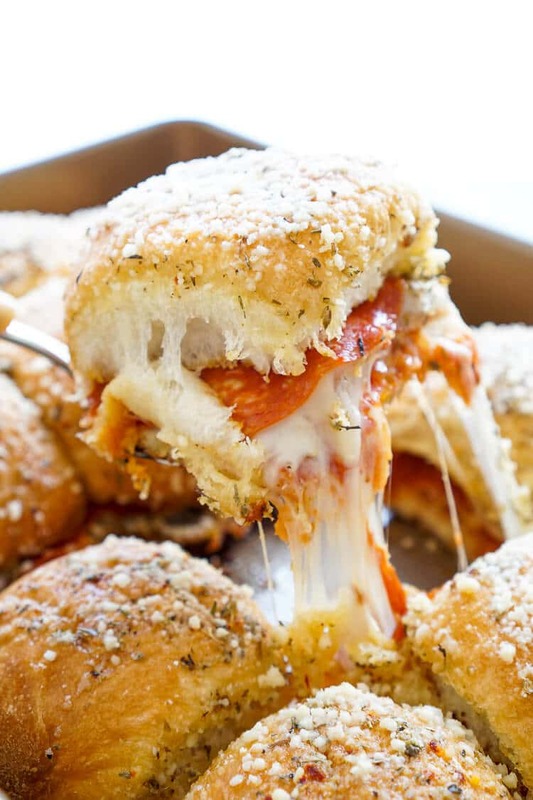 Don’t forget to pin this idea now to save it for later!)! 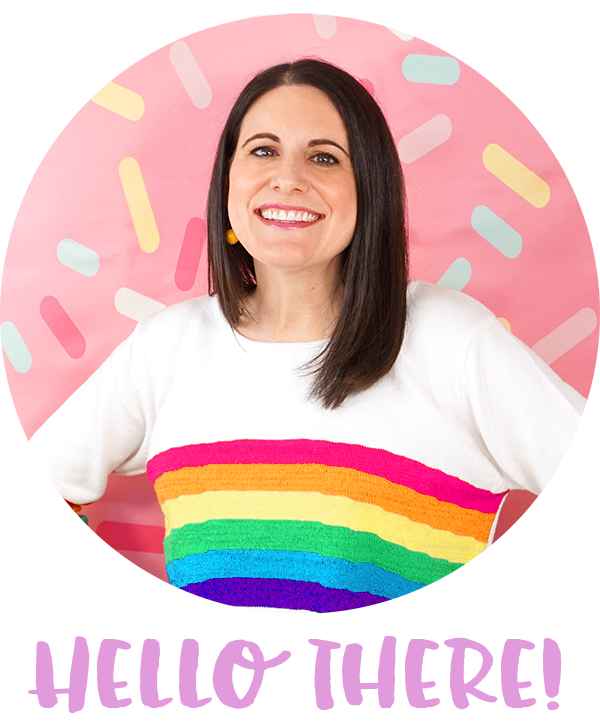 Oh, did you notice that classic iconic yellow box in the background? 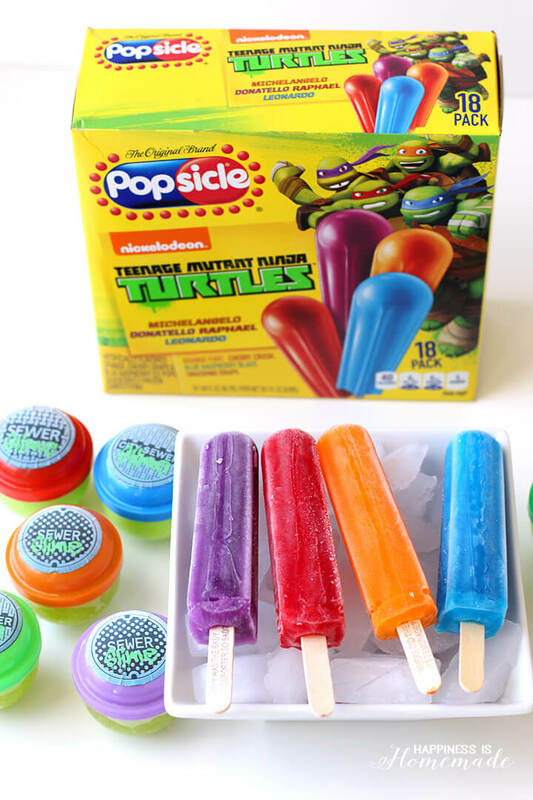 Yep, that is a Popsicle® Teenage Mutant Ninja Turtles™ box that you saw there! 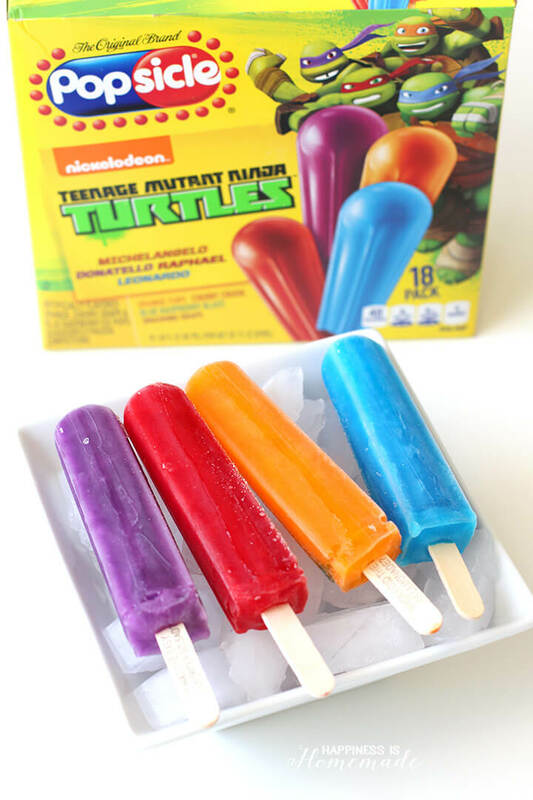 Our favorite summer treat is even more awesome this year with Michelangelo™ (Orange Fury flavor), Donatello™ (Smashing Grape), Raphael™ (Cherry Crush) and Leonardo™ (Blue Raspberry Blast) in some action-packed TMNT flavors! 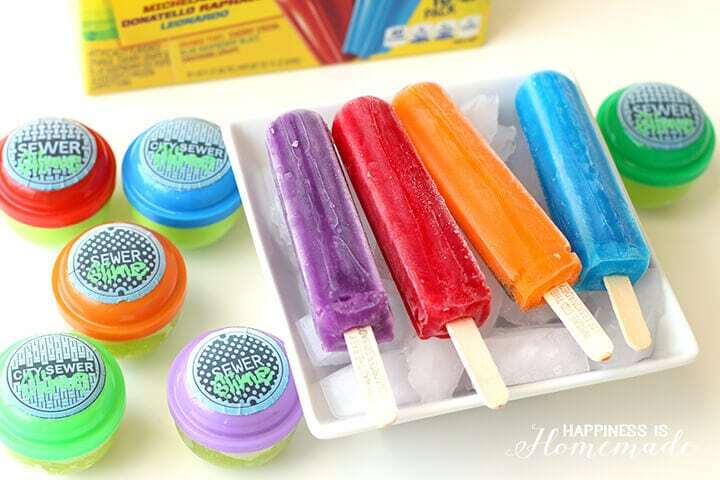 Did you know that the Original Brand Popsicle® has been bringing the fun since 1905 and that Popsicle® pops are available in more than 20 unique flavors including the childhood favorites Orange, Cherry and Grape? Wow! 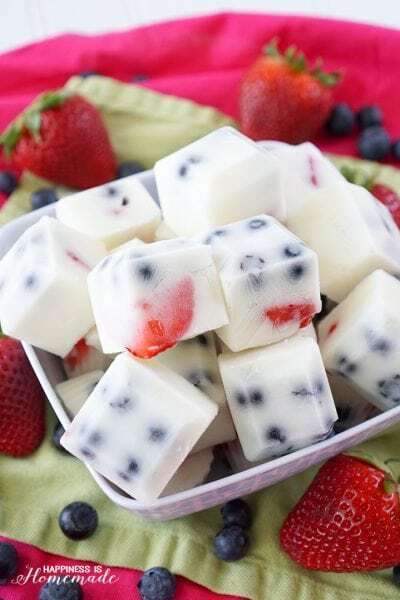 No wonder they’re considered the original summertime treat! 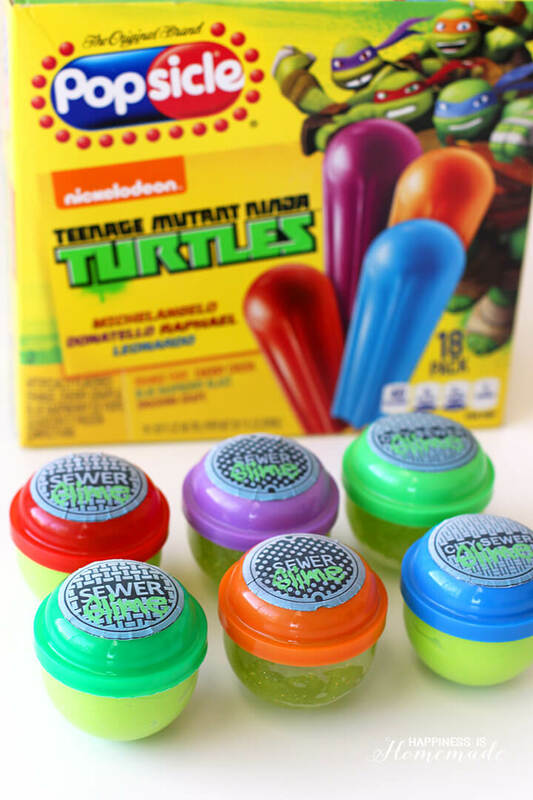 Between the Sewer Slime and Popsicle® Teenage Mutant Ninja Turtles™ treats, this looks like one seriously awesome afternoon of summer fun (just make sure that everyone washes their hands before eating!)! 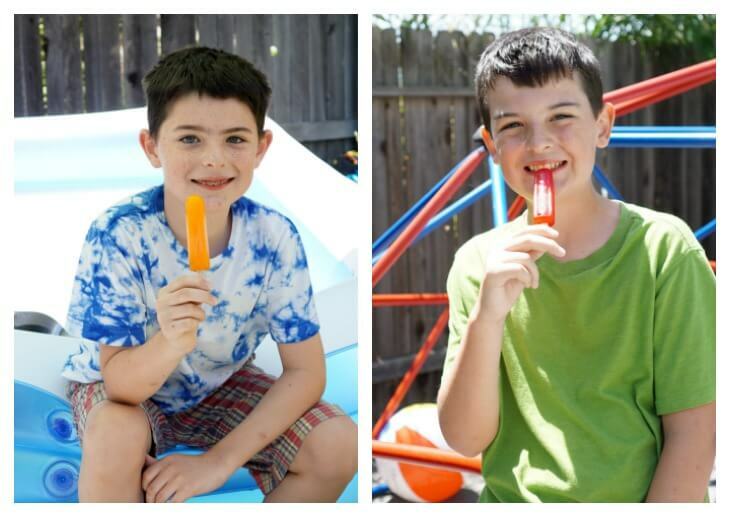 For even more summer fun, be sure to check out the Original Brand Popsicle® website and follow them on Facebook and Twitter! 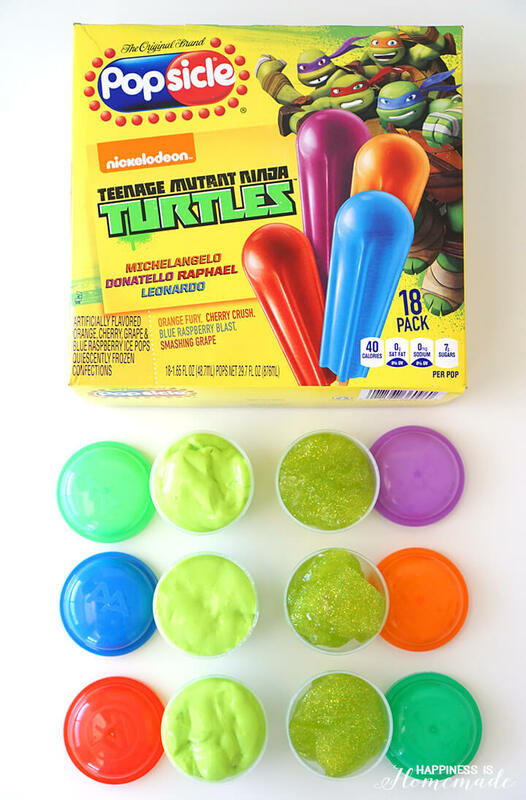 If you liked our TMNT ideas, be sure to check out these fantastic Teenage Mutant Ninja Turtles recipes and crafts by a few of our friends! P.S. – You need to update your CommentLuv settings ( settings -> CommentLuv -> Technical Settings bar ) and fix your API URL to use your domain name instead of the development IP address it is set to now. I’m one of the CommentLuv developers and we’ll fix this bug soon, but you can fix it yourself now with that setting! If you need assistance with the correct setting for it, you have my email. Oh no, Laurie! Did you get it to work? If not, I can email you the file if it’s not too late! I’m sorry it was giving you trouble! I’m so sorry to hear that, Leigh! I just tested them myself, and they worked fine on my end, so I’m not sure what the issue might be.